Dear Reader: It's been one new riding mower, a San Francisco Giants 9-9 record, untold hours writing, slightly less reading, a nagging heel and 3 weeks since my last confession. Come, follow me to the confessional. Reader, I've been writing a lot, especially these past two weeks. I confess this is better than the alternative, But reading a Louise Gluck essay has taught me (and I should know this) the search for the ingredients of a poem never stop. I'm thinking today that it would wise for me to sit down and see if what I'm looking for is in any of these various pieces of writing and needs to be moved to a new environment and surrounded by other words that are more eager to play. Being a poet is a condition. That's not an original thought, I confess that some poet has uttered those words but I don't recall who. Being a condition, if you believe that, and I do, then it is a lifelong journey or searches to find something that you don't know you are looking for. Once you are lucky enough to discover it and wrap a poem around it, the search begins anew. It's a bit like government work. It's never finished. It just keeps going on and on and on. 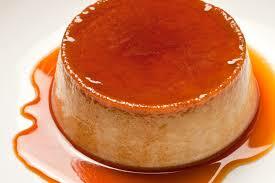 Flan, are you for it or against it? I confess that I am way into it. We've talked about going to a Mexican restaurant and just ordering the flan. I haven't done this, but I have stopped on the way home to get flan carryout. 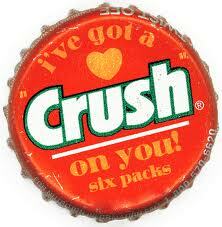 I especially like the way the caramel dances around on my taste buds. It's texture custard-like, I want some right now. As it gets later into the year there are things I am missing. No, I found my keys. I confess that I always looked forward to the iris that came up in our yard. I also miss the geese that came in droves and would walk across the street in front of our house onto the open field These were little things that made me smile. That gave me hope. I miss those things as do I miss the house where we lived. My wife got me a package of iris bulbs to plant - but it will be next season until I can lose myself just looking at the flowers when they come up. June is my Poet Crush List month. I confess I've been tossing poets around in my mind and the list is not quite cemented yet, it's getting close. I always get excited about doing this. That's of course after the anxiety of making the selections when there are so many poets right now that rock! First, it was my left knee. Then it was the tendons in the heel of my left foot. In one way or the other, I've been struggling with one or the other since back before I went to AWP. The knee is doing better. The foot issue has improved but still far from 100%. I confess through all this my balance has sucked. Till next time, stay safe and dance every chance you get in life.